I’m a big fan of batch scheduling and with that love comes my desire to basically schedule ALL my coaching calls on the same day. Since the beginning of my business, I’ve been coaching on Wednesday and Friday, which allows me to spend the rest of my time in my creative headspace (this is how I always come up with great content) and spending time with my family. As my business has grown and I’ve taken on more clients, it’s REALLY important (stressing the really here) that I surrounded myself with things that keep me grounded. Whether you are a service based entrepreneur or anyone that deals with a customer or client, it’s important to protect your energy. We give so much to our community and clients, that if we don’t have things in place to re-align ourselves, we take the risk of feeling depleted. These tips and resources are easy additions to your home office and will make a big difference in your day to day when implemented. Disclaimer: Some of this stuff is on the woo-woo side ;) what can I say I love it. Keep an open mind and take what you need from this blog post and leave the rest behind. Oh and some of the links are affiliates, if you buy it I might get a few bucks. I’m a big fan of essential oils when it comes to my family and nothing makes me feel more aligned than a nice lavender or sandalwood scent. I have diffusers throughout my entire house, but love to use my office diffuser for long work days. The one I currently have is from DoTerra, but another favorite of mine is from Amazon. The benefits of Palo Santo are amazing, but for our office decor purposes I love Palo Santo to clear the energy. Nothing is more important before and after a call with my clients than to clear my own energy and the energy of the office. This allows me to head into my calls without carrying over something from a previous client. I’m a sucker for a good candle, can anyone say Pumpkin Spice?! Right now, that is my candle of choice, but honestly, any candle will do. I love lighting my candle to set the tone for the day. I love having the visual of a candle because it gives me a calm feeling, which is important for busy work days. Candles are supportive of a meditative state, decreasing stress and increasing self-awareness. Yes, I’m a big fan of crystals, and although I’m not an expert there are three crystals I love to include on my desk during long work days. These crystals are easily accessible so you should have no trouble finding them locally or online. A tip for choosing crystals is to position yourself in front of your options and pay attention to which one is pulling you in. Bonus tip, because why the heck not, it’s important to cleanse/clean your crystals when you buy them; you can do this by smudging sage, putting them under a full moon or bathing them in a salt bath. Rose Quartz: This stone is great for self-love, removing anger and tension. It also opens your Heart Chakra making you more open to compassion. Amethyst: Not only is amethyst one of my favorite stones to look at, it supports you in tapping into your intuition and brings tranquility and peace into your space. It’s great for opening your Crown Chakra. Clear Quartz: When you think of a crystal this is probably the one that comes to mind. These basic white stones come in all shapes and sizes (I even carry one in the diaper bag). Quartz is great for removing negative feelings and welcoming in positive energy. I also wear Citrine on a regular basis to protect my Solar Plexus which is connected to achieving goals, self-confidence and more importantly, for me anyway, to release my inner perfectionist. I mean I feel like this is a no-brainer, but in no way do I want my office to resemble that of a cubicle. I welcome light into my space by facing my desk towards a big window and if working into the night I have a desk lamp for extra lighting. Natural light is your best friend here, so if you have the ability to face a window not only will your photos look better, but a better moot to boot. Dehydration is no joke as an entrepreneur. It can lead to fogginess, decreased concentration, depressed mood and fatigue; none of which you want when working all day, especially with clients. One of the top tips I have for every entrepreneur is to drink more water, it’s so easy to forget but can make all the difference in feeling energized to take on all your projects. I’m a big fan of an old-fashioned mason jar, which is totally on brand by the way! It’s really about creating the space around you that not only inspires you to show up and do your best work, but keeps you a positive headspace so you can show up as your best self and impact more lives. Let me know in the comments your favorite tip above and if you have some essentials you love - I’m always looking to enhance my space. I’m constantly sharing behind the scenes of my life and business over on IG Stories (my favorite place to hang out) are we connected on Instagram? Head over to Instagram.com/brandmerrycoaching to follow me and DM your questions and favorite tips from this post. I personally respond to every single one! Welcome to the Free to Be Podcast. I'm so excited to bring you a really personal and exciting first episode with my husband, Ben Knight. With questions submitted by my community Authentic Brand Builders and followers on Instagram, Ben and I are having a candid conversation about our relationship, how we find harmony in our relationship, his role in the business and how we handle those money conversations. It's a beautiful episode in which you can get a glimpse into our life together, hopefully, learn a little more about how he has supported me as I have grown and continue to grow my business. Oh working from home life, heck every-day life, it can get a little complicated from time to time. We’ve got things to do, people to see and the list keeps getting longer. Hey girl, there is some light at the end of the tunnel and trust me it comes from doing more efficiently, rather than throwing in the towel. I know, I know throwing your hands up in the air might seem like the best option, but it’s not going to get you anywhere now is it? 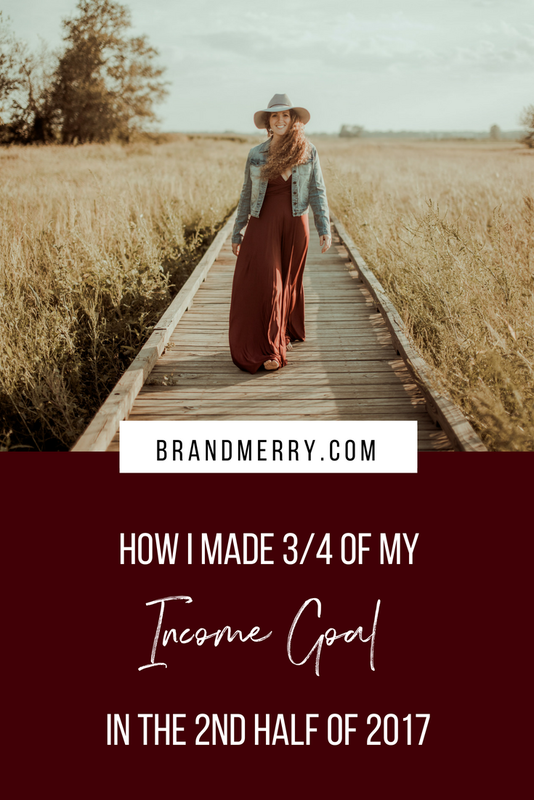 If you find yourself seriously struggling with productivity throughout the day, whether that’s in your online business, at your 9 to 5 or both (I see you, girl, because I was you just 2 years ago), I’ve got 5 tips to kick that productivity into overload so you can get more sh*t done. I’m super passionate about maximizing my time so I can stay focused and productive, yes even with a toddler. My intention is that these 5 tips will allow you to move closer and closer to your life of freedom without the overwhelm. Seriously, just do this step. I fought it for so long because I wasn’t a “morning person” but you don’t have to be a morning person to give yourself some love and attention in the morning. This can be 10 minutes or 2 hours (what I aim for these days). Read my recent post about The Morning Routine of a 6-Figure Business Owner for some ideas. I highly recommend focusing on some sort of meditation or writing, a little movement and a nourishing smoothie or juice. Give your body, mind and spirit the love it deserves and it will support you throughout the entire day, yes even if your toddler throws a curveball in your original plans. This is something I’ve been doing since I became an entrepreneur, women in my community will remember most of my first live streams were about this very topic. Your list is going to be long, there’s no denying that, but what you need to do is start focusing on what is going to have the biggest impact - enter the BIG 3. Every single day take time to identify your big 3 for the day and put your energy and attention on those first. That way if something happens and your plans change you’ve accomplished the 3 most important pieces. For all my female entrepreneurs one of these pieces should be a daily sales action; meaning you’re reaching out to someone, posting or following up about your offer. Are you currently blocking out time in your schedule for important things? I see this happening a lot where women say they don’t have enough time in the day to do x,y and z. What if you made it a non-negotiable? Seriously hear me out here. What if every single week on Tuesday night you had time blocked out in your calendar for your business? What if every single Wednesday you blocked out time for yoga? Treat it as a top priority and whatever comes up you’ll know that time is not available because it isn’t. I actually color block all important appointments, bulk writing sessions and more, like my morning routine, so nothing gets scheduled and takes my energy away from what I need to do. Rather than waking up in the morning wondering what is on the agenda, just to find out you have something every 15 freaking minutes, how would it feel to know before your head hit the bed? P.S. It feels freaking amazing. Every night before bed set aside just 5 minutes to look at your planner, calendar, post-it notes of ideas and wrap your head around what’s on the schedule, what needs to be done and what can wait. Being in control of your to-do list is half of the battle, seriously, so do yourself a favor and do a little planning. The most productive people don’t fly by the seat of their pants! I’m a lover of all things **Trello (see what I tried to do there?) Trello had allowed me to organize my content, workflows and weekly schedule. It makes planning and executing super easy. If you’re not currently using a system for organizing your day to day I HIGHLY recommend. You can get a free Trello account and dive right in. Other amazing options include Asana and Monday or simply utilizing your Google Calendar or physical planner. I don’t care what platform, seriously I don’t, I just want you to have something that allows you to have a birds-eye view of your life and biz while prioritizing what matters most. I'd love to know in the comments which tip resonates with you most and what you're most excited about implementing! *Affiliate link to Trello because I love it and highly recommend. If you choose to use it for your organization, I will receive a little bonus from them. Last year, I had a goal to make $100,000 in my business. That number felt good to me, and the reason I'm sharing this with you today is because I made 3/4ths of that in the second half of 2017. Which means that it's to too late for you if you feel behind in your own goal for the year right now. My biggest months last year were September and October which were both right around $14k and December which was closer to $18k. So it's not to late for you to reach your goals, you just have to take some steps in order to get there. I believed so much in my goal. I was so grounded and rooted in hitting $100k - in hitting 6 figures. Be super clear and specific on your goal. I felt that number in my soul. I was invested and excited in that number. I visualized every step of the way, every month, every time I hit a goal. I was super clear on my visualization process. I was really inspired by this number. It was about how that would make me feel. I also had to do the inner work. I really started to bust through my old beliefs around money, and I also had to release my inner perfectionist. I was always checking in on where I was at in my goals and where I might need to pick up slack. I had planned for a big launch. Launches are a great way to bring in a big influx of money when you are trying to reach a big goal. I had been planning mine for 9 months and growing my list since January! I did the prep work and knew this was a big part of the end of the year for reaching my goal, so I took time to prep for it and get those pieces in place. I really focused on building relationships and nurturing my audience. I started going live regularly. I started doing more workshops and webinars. Building trust with your community is massive. I really credit the relationship building I did to the success of this launch. I truly went all in on this launch! There was no holding back. Everyone knew I was launching. I put money in a mentor and Facebook Ads and the return on investment was huge. I focused on growing my list daily and taking sales action, but also community action. I created a welcome sequence so people really got to know me through my free offer, so when I rolled out a new offer, they were ready to invest. With this in mind I heavily introduced my intensives as a welcome to coaching and focused on filling that from August - December, this led to my 1:1 clients at a higher ticket price. So you can bring people in at a lower cost level and then funnel them to the higher ticket prices. I had my big goal in mind and things I was working towards daily, but I wasn’t obsessed with one thing working over the other. I focused my time and energy on taking action and if something didn’t work I found something that did. I was constantly showing up, taking action and investing back into my business to get it to work. Always take action. Don't just wait for the best idea to fall into your lap. It will come, but always take action. Within on year I left my 9 to 5 and created a 6-figure business. Now I spend my days as a Branding and Business coach for female entrepreneurs, raise my little boy and travel the world with my little family of 3. So you feel like you have to have a passive income product to have a sales funnel? Or maybe you don't even have a high-priced offer and feel like you shouldn't waste your time on a free offer and funnel? But, the thing is you are missing out on the golden opportunity to start building your community and list, so when you DO have those offers you have someone to sell them too - see how that works? In a recent episode of Brandmerry Live, I talked about understanding the fundamentals of a sales funnel and more importantly The Three Key Pieces For a High-Converting Sales Funnel. ⇉ The piece that MUST be included in your funnel if you want your audience to start getting to know you and actually trusting you and what you have to offer. ⇉ The difference between a funnel to passive income and to a high-level coaching program and where you should start. AND the three key pieces that need to be included in every funnel if you want to keep open and click rates high, and unsubscribes LOW. Start thinking of everyone who enters your list as a cold lead, what does that mean? They don't know anything about you, not even your face. So take this opportunity to introduce yourself, share some vulnerabilities and start to build the trust factor. This is a golden opportunity for people to start REALLY paying attention to you and what you have to say and connecting with you on a deep level. When people trust you they will buy from you! It's one thing to have a funnel, it's another to have someone read it - which is kind of the point isn't it? It doesn't matter what you say, if people don't open your email they will never know. Your audience is bombarded with emails on a regular basis and you need to grab their attention, so they don't miss the goodies. Ask yourself what would make me open this email? I gave bonus tips for writing compelling titles and shared a look inside my own funnel in the video below! Building on the trust you've already started to create with your leads comes from giving value. People want to know WHY they should listen to you, so tell them! Start giving tips about a topic that interests them, share advice or a life lesson and what it taught you or share an old blog post. Start to give them even more information about the topic related to your free offer, so they begin to make the connection that they should invest in you or your business.